Whether you have arrived here for the first time, seeking to discover the joys of owning such a glorious vessel, or are returning for a regular fix of beauty and style, we hope you will find something to savour. You may already distinguish a William Fife cutter from a John Alden Schooner, or perhaps you have been enchanted by the colour of warm sunlight glinting across acres of achingly beautiful varnished teak. Whatever the reason, we invite you to share our knowledge and love of beautiful boats. 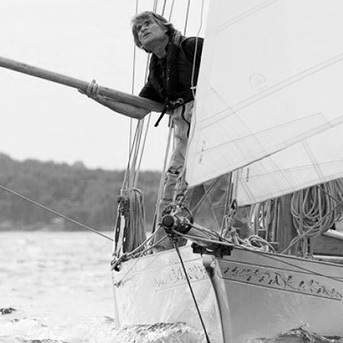 Our aim with this site is to inform, enthuse and perhaps even entertain you with an interest in the joys of owning and sailing heritage, vintage and classic yachts or motor yachts and we imagine that as you are here, you are looking for something beyond the norm. Perhaps you have fallen out of love with the ubiquitous modern yacht, are looking to write a chapter in the history of a famous craft, or are seeking to regain a childhood memory. The yachts on our pages are capable of satisfying all these needs and more. During the time you spend here, we hope you become aware also of the depth of feeling and passion that we have for classic yachts of every type - along with their histories. The yachts you will find depicted within these pages come in a variety of styles, sizes and ages, but what ties them together is their innate beauty and ultimately that they contain some 'magic' quality. Such yachts are at the heart of everything that Sandeman Yacht Company does and has done, through many years of specialising in the brokerage of classic and heritage yachts. Whether a museum piece, a well used friend of the family, a runabout or an elegant dream yacht, we have unparalleled knowledge of what is needed and moreover the desire to bring about a happy transaction leading to many years of fun-filled ownership. As one of the World's most respected specialist classic yacht brokers, with every transaction we maintain equal respect for buyer, seller and yacht. Our aim is to promote harmonious partnerships between yachts and their owners for the benefit of all; not least the yachts themselves deserving as they usually are of ongoing, caring ownership. If you are looking to fulfil a long-standing dream or just to get the family on the water with elegance; whether you need a racing thoroughbred, a historic artefact or a cosy cruiser, we look forward to giving you every help in achieving your desire. You don’t have to know everything about the classic yacht market. That’s what we specialise in. We are uniquely placed to offer impartial, up-to-date market information and objective advice to our clients. Sandeman Yacht Company differs from some brokers, dealers and auction houses in that we act solely and exclusively for one client in any given transaction. This means that we only take a fee from the client instructing us. The fee structure is straightforward, transparent and free from conflicts of interest. We fully understand that buyers will one day become sellers – and vice versa – so you would not expect our opinion about the market to waver depending on which we are advising – and it doesn’t. If you do seek our assistance you can reasonably expect frank, informed opinions and the inside track. Recent market data and sentiment: You may have seen the headlines, but what may have been going on behind the scenes and how does it affect your yacht? To restore or not to restore? We recognise the expectations of buyers; what they like and what they don’t like. When you embark upon work, from a refit to a ‘keel-up’ restoration, who should you use, what’s a fair price, and who is the best to supervise the result? Shipping is a minefield. Who can you trust with your pride and joy? What questions should you ask? What’s a fair price? We’ve learned the hard way so you don’t need to. Structural condition, history, originality and provenance are the (four) most important factors determining the value of a top-tier classic yacht. We help buyers, sellers and owners verify all. Unlike an estate agent a yacht broker handles all the contract work. The numbers are significant and therefore accuracy and knowledge are vital. Of course we hold the full PI cover but we use the ABYA sales contract and the documents are regularly updated. Peace of mind is important. If you would like to take part in Classic Regattas, but the choice of eligible yachts is baffling – we will help guide you towards a competitive boat. Or perhaps you want a boat for family cruising – what are these yachts like to sail? We have not yet sailed all but we’re rarely short of an opinion! Nick has had a variety of careers; banking, the Army, security printing and the City, all with significant exposure to the legal and commercial aspects of business and involving a lot of overseas travel, so he is glad now to have his feet firmly on the ground at the front office. His main role is dealing with the yacht details, including the pictorial items for presentation and all the admin and documentary aspects which lead to completion of a sale from initial enquiry. With leisure pursuits from choral singing to walking the dog, he is also a keen sailor, having been brought up on Windfall yachts thanks to his father's and his own service connections. 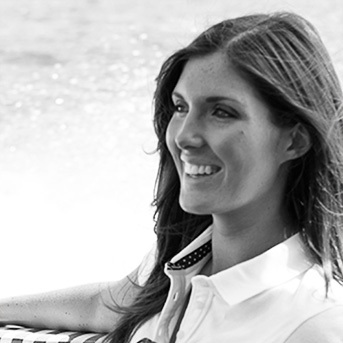 Danielle was born in Poole and raised in a family with a passion for sailing. Spending most summer holidays exploring Poole Harbour and the Solent has left her still with a keen interest in boating and spending as much of her leisure time as possible out on the water, ñ albeit only in fair weather! With extensive IT skills Danielle joined the team in 2016 to assist the office with website and marketing content, administration and anything else that may be thrown at her. Originally from Belgium Marie arrived in England in 1985. 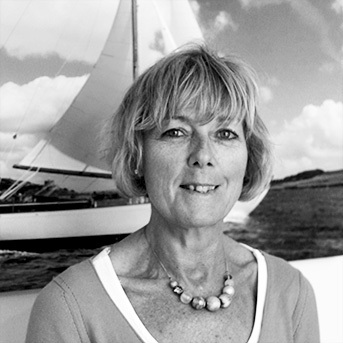 In her words: " If sailing had not been a part of my life before moving to Poole; when introduced to it by my partner and friends I took to it like a duck to water. I sailed in dinghies, crewed on bigger boats and then we bought a Contessa 26 in which we spent a lot of summers discovering the west coast before deciding it was time to take our lovely boat to France. We sailed down the French west coast then along the Canal du Midi finally to arrive in the Mediterranean. Sailing has given me the opportunity to discover places from a different perspective and to meet lovely people on the way - all sharing the same passion! With admin skills, my fluency in French and Spanish is of course useful in a company with such an international reach.” Marie again takes on a variety of tasks from accounts through marketing to translation. Clyde-built Iain was brought up with tales of a forbear crewing the 1887 America's Cup challenger, THISTLE. 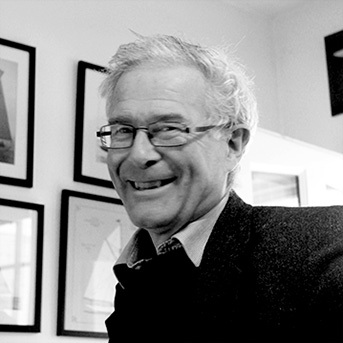 He first sailed aboard a Mylne/ Dickie of Tarbert sloop in the 1960s and learned the art of helming in the Royal Clyde Yacht Club’s, Loch Long One Designs. All of this enabled Iain to absorb a rich, local, but far from parochial, yachting, yacht designing and building culture, now long gone. 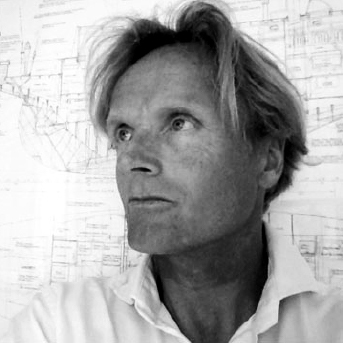 Since 1989 he’s been imparting his take on all that to manage classic yachts and their restoration, and researching and writing about it - including the last Fife, SOLWAY MAID, the Watson gaff cutter PEGGY BAWN, and coordinating the publication of a definitive biography of GL Watson.